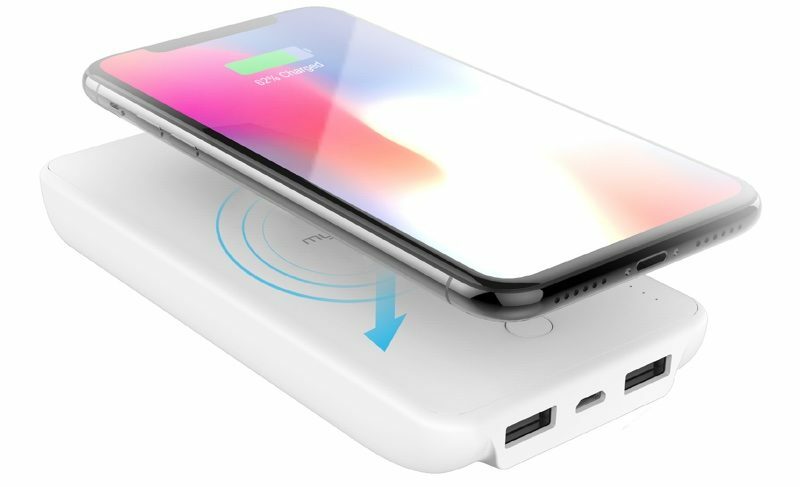 myCharge, known for its range of external battery packs for charging Macs and iOS devices, is introducing a new 20,000 mAh myCharge All Powerful battery pack, which is capable of charging a wide range of Apple products. The All Powerful isn't as portable as the average battery pack, but it features a USB-A port, a USB-C port, and an AC outlet, which means it can power just about anything. It even comes equipped with Qi-based wireless charging to charge the iPhone X, 8, and iPhone 8 Plus cord-free. According to myCharge, the 65-watt AC outlet built into the All Powerful can run a 32-inch TV, power most laptops, or operate a camping fan or light. The USB-A and USB-C ports can charge all of your iOS devices, and the Qi charging supports 10W fast charge. Along with the All Powerful, myCharge also offers several other rugged chargers that are part of its adventure series, including the Adventure Mini (3,350 mAh), Adventure Plus (6,700 mAh), Adventure Max (10,050 mAh), Adventure Ultra (13,400 mAh), Adventure Xtreme (20,000 mAh), and the Adventure Jump Start (6,600 mAh), which can power up a dead vehicle battery. 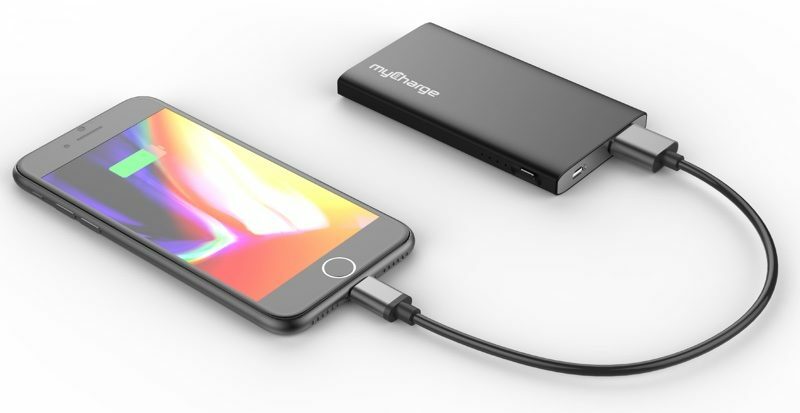 Several new myCharge battery packs are being introduced at CES, including an updated Razor line with options ranging from 2,000 mAh to 20,100 mAh, the 7,000 mAh for powering portable game systems, the 3,000 mAh Solar Wallet, and the Unplugged series of Qi wireless chargers. The All Powerful will be available available for purchase starting in April 2018, and it will be priced at $199.99. The other Adventure series battery packs are available now at prices ranging from $30 to $100, while the rest of myCharge's new products will debut at CES or in the spring. Additional information about all of myCharge's new products can be found on the myCharge website. 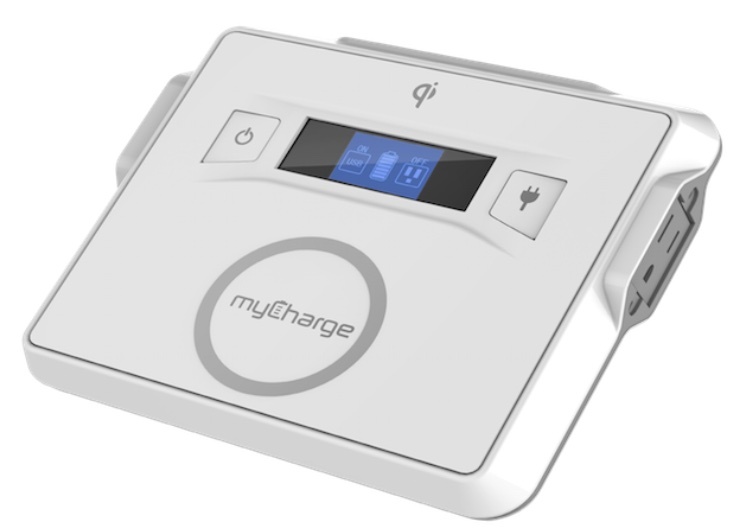 myCharge will be officially showing off its new hardware at ShowStoppers at CES. Really? I have an Anker one that's 26800 and it's been great. Agreed. That and we rely on these things far more than we used to. $200? Dang. I got my 20,000 mAh Anker bricks for $40 on sale and wireless charging pads that can plug into those bricks for less than half that. $200????? Wow. mAh… this unit doesn’t say anything about the capacity. At what voltage? 0.00001mv? This is one of my pet beefs too. It seems to have become a convention to quote battery capacity at the standard old USB voltage of 5V. If everything used 5V it would have some validity as a basis for comparison, but with USB-PD operating at 5, 9, 15 and 20V a battery capacity expressed in mAh is meaningless. The correct unit to express battery capacity is Watt hours (Wh). At least my Anker "26800" USB-PD battery has the decency to also state the capacity as 96.48 Wh in tiny illegible text. Even Apple do it, expressing the battery capacity of my 12" MacBook as 5550mAh, while its actual capacity is 39.7 Wh. This matters because if I didn't know better I might naively think the Anker could charge my MacBook 26800/5550 = 4.8 times, while the real number is 96.48/39.7 = 2.4 times. But this is still wrong because the fundamental transfer efficiency is about 70% so it is actually more like 1.7 x. Of course the manufacturers want to quote nice big numbers, but a lot of people are being mislead because of the voltage issue and because the transfer efficiency is conveniently ignored. If this had an Apple Watch charger built-in, I'd buy it. I hate having to lug around that cable separately, but I don't want to have to carry multiple battery packs either. Same boat, I gave up and ditched my 20,000mAh charger for a 5,000mAh battery with apple watch built in. I'm constantly worried about running out of power at an inconvenient time though. I really think there's a market for a high-capacity battery with built in Apple Watch charging. The highest I've seen is the Belkin with 6700mAh which is overpriced and has bad reviews. Why in the heck don't they rate these things in watt-hours, which is actually a useful measure of stored energy? mAh doesn't mean anything without knowing the voltage of the internal battery.